First and foremost let me tell you all how much I love handmade soaps especially the cold processed ones. 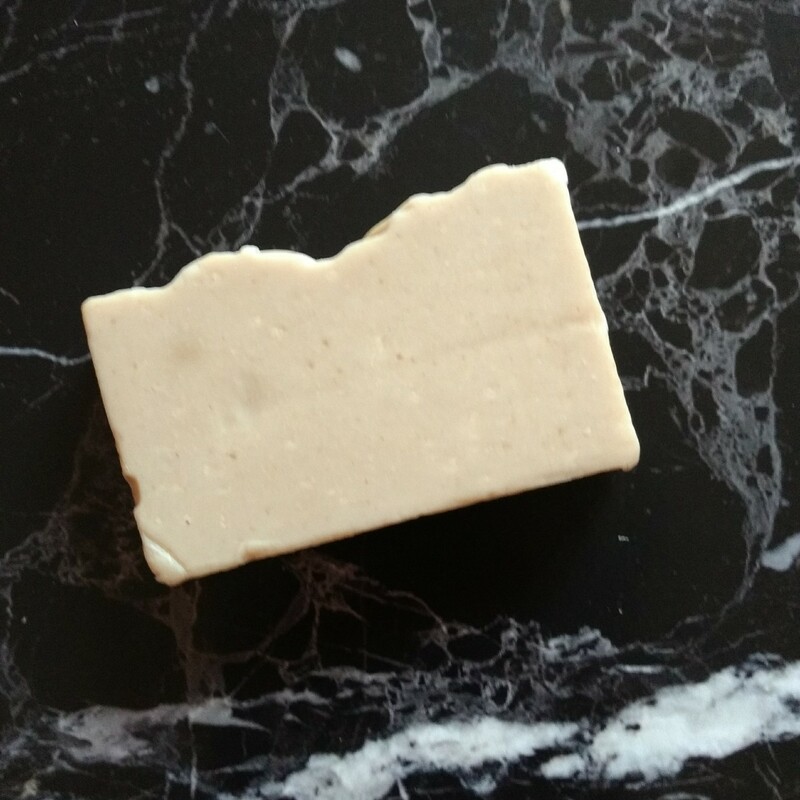 Cold process soaps are the ones made from scratch unlike melt and pour soaps wherein a base is melted and different ingredients are added to make the soap. I especially love soaps which use butters since they are very moisturising and make the skin soft and supple. Let's check what the soap we are reviewing today has to offer. Scented with gentle maychang palmarosa and sweet orange essential oils. Very gentle cleansing and mild, moisturising soap. Organic Almond oil, Spanish extra virgin olive oil, raw unrefined shea butter and organic coconut oil, noushing carrot powder, papaya, honey, turmeric and organic desi cow fresh milk cream. Let me rave about the packaging of the soap. The semi transparent silky potli bag, the degradable outer plastic bag, the paper wrap and the cotton thread. All the packaging material is either reusable or degradable. Such a thoughtful message the product carries with itself. 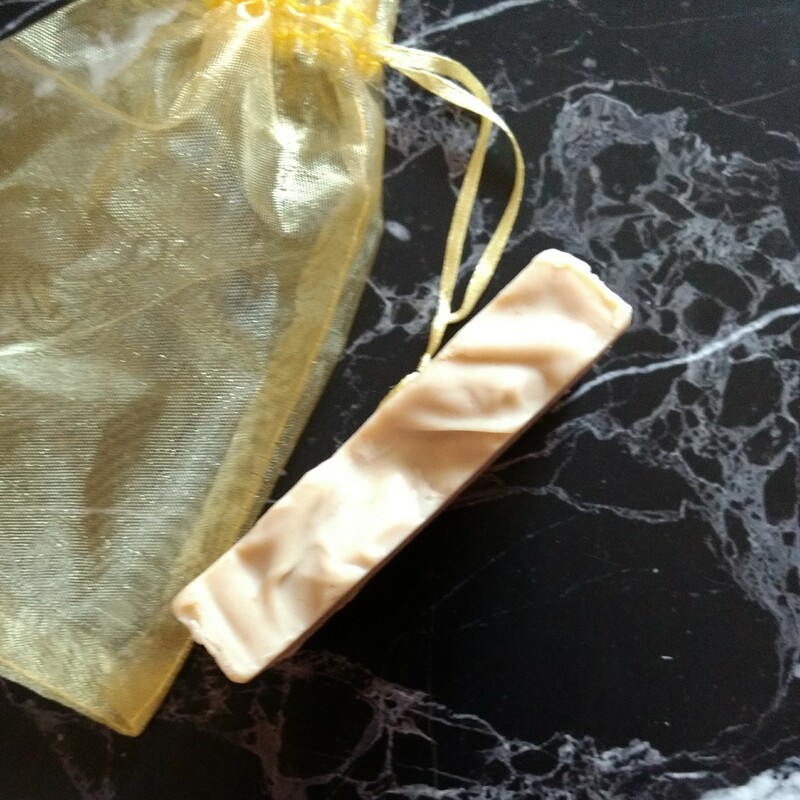 Now coming to the fragrance of the soap, it has an amazingly earthy yet yummy fragrance. I cannot describe the fragrance in words although, once we hold the soap in our hands and smell it we instantly feel like taking a quick bite! I am pretty bad at describing the fragrance actually, I mean how to describe what we feel when we breathe a fragrance?! Advancing over the business part, the soap lathers quite well and the foam is frothy and not bubbly. I like exactly this quality of all handmade soaps that they just don't lather for bubbles they lather for cleansing 😁. The soap does a good job of cleansing the skin and I do use handmade soaps on my face too (never faced any problem though). The fragrance isn't lingering at all. Since the fragrance is due to the essential oils used (mentioned in the ingredients list) it fades away quickly. I cannot tolerate a lingering fragrance for long as I get headache due to it. So that is not a problem at all. Also please remember any lingering fragrance usually is artificial fragrance which is made up of many chemicals, so better no fragrance than a bunch of chemicals. Coming onto the effects of the soap, the soap didn't dry out my skin but it didn't leave it soft also, as I had expected. Although the soap cleanses thoroughly well, when we try to smell the soap while bathing it emits a washing bar sort of smell not a strong one, only picky noses like me would be bothered with this. Also the soap doesn't diminish in size as normal handmade soaps do, so that's a plus point. Summing up the In and Out below. Price, Shelf life and Availability - 280 INR for 110 gms. Cold processed soap so they get better with time. 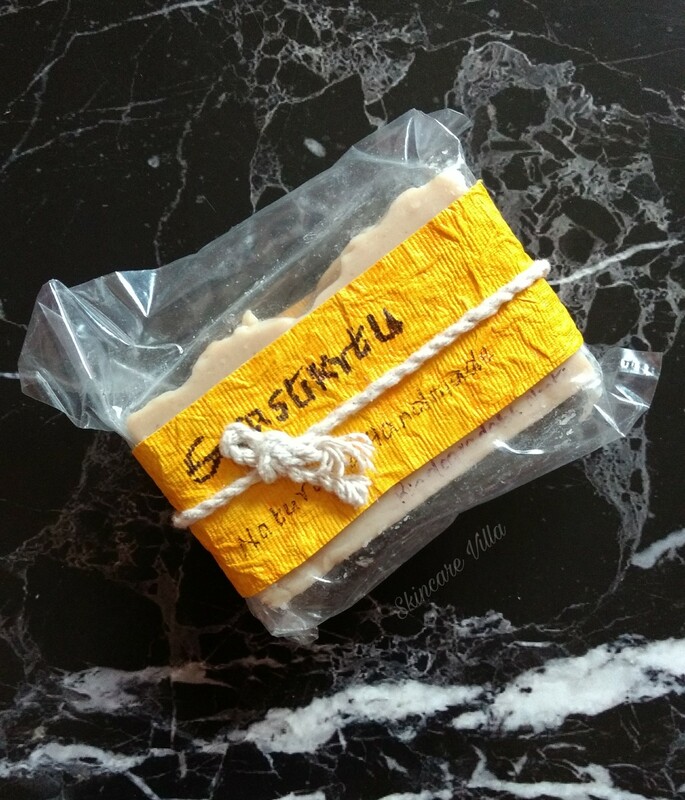 The products can be ordered via Facebook page of Svastikrtu Natural. They accept Paytm and NEFT payment methods. 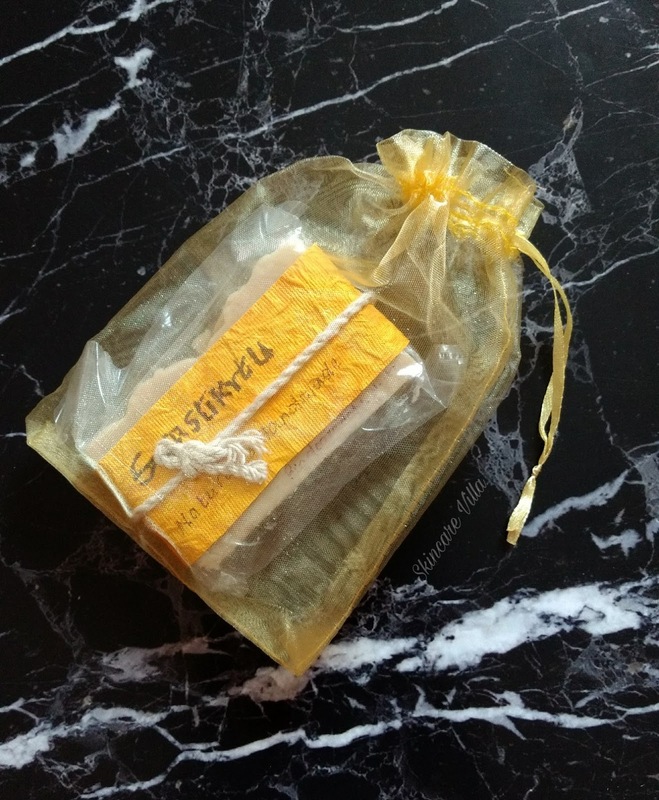 Almond Shea Carrot Papaya Soap is one of it's kind flavor soap which doesn't disappoint you on the fragrance front as well as packaging wise. I did like the idea of fragrance using essential oils instead of using artificial fragrances. Also packaging used is reusable and degradable. I would not say it is a must teyo out soap but it would definitely love up to the expectations of a good handmade soap.